Sometimes things happen that annoy you on so many levels you have had enough. Well in December last year something like that happened twice. I took this picture on Christmas day. That day I had to work and my second Windows machine had just crashed while updating. This rant has been cooking for a month. Now let me take you back to the Winter of 2017. Microsoft was about to release an update, a big one and it was available. It was called the Fall update and it was to really improve the Windows 10 operating system. Well some people witnessed their Windows machines crashing like Vista was back. Have you ever heard of Windows Vista? Once upon a time Microsoft had this great operating system for personal computers and laptops called Windows XP. People loved it so much they stayed loyal to Microsoft software. Thing was Microsoft had to sell something to new to generate revenues again and Windows Vista was next. Vista could do more than XP but demanded more powerful computers. There was one problem, manufacturers were not selling more powerful computers. People upgrading to Vista saw their old Windows machine crashing. Microsoft received so much negative feedback that they felt forced to ditch Vista. Thing was Vista still had to be patched, updated and stabilised while manufacturers had to make more powerful computers. Windows 7 followed shortly and the complaints were mostly soothed. After Vista (I witnessed my computer crashing) I decided on one thing: if Microsoft ever gives me the Vista-vibes again I have to stop relying on Microsoft. Guess what? I am done with almost everything Microsoft. While updating my Windows machines automatically, they were crashing. Microsoft cannot take care of automatic updates anymore it seems. They announce something big and crash my computers, sorry no. One machine remains Windows (W10 Pro) for compatibility requirements . The other machines will no longer be Windows. When corporations fail and offer no excuse nor proper service ditch them like garbage. 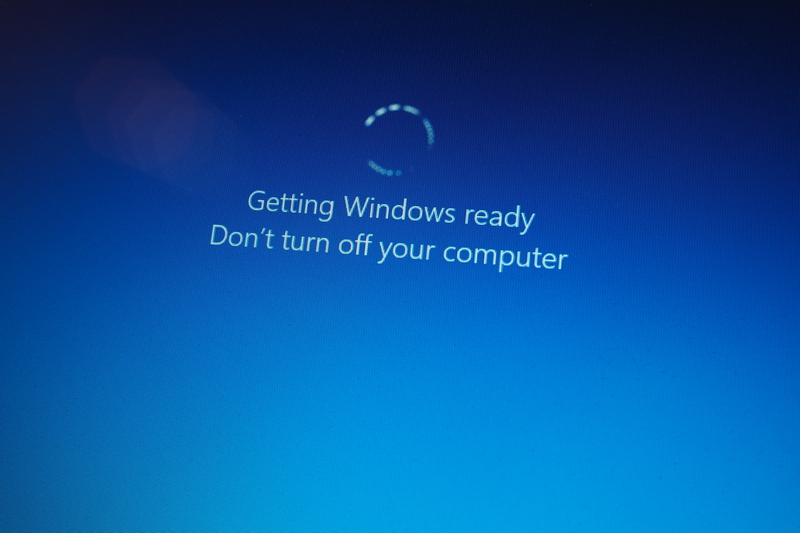 Microsoft can keep its blue screen of death (B.S.O.D.). I am too disgusted, too annoyed and was unable to get things done. I do not buy a Windows machine to see it crash. Seriously I am done with this nonsense. Posted in Short Reads and tagged 2017, B.S.O.D., blue screen of death, computer, December, Fall update, Microsoft, rant, Vista-vibes, W10 Pro, Windows, Windows 7, Windows Vista on January 26, 2018 by rura88.